Property Location With a stay at Hostel Suites Palermo in Buenos Aires (Avenida Corrientes), you&apos;ll be minutes from Mitre Museum and Buenos Aires Metropolitan Cathedral. 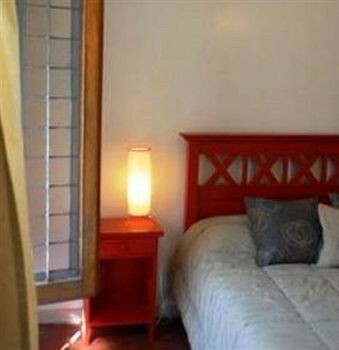 This hostel is close to Plaza de Mayo and Obelisco.Rooms Make yourself at home in one of the 8 guestrooms. Prepare your meals in the shared/communal kitchen. Complimentary wired and wireless Internet access is available. Bathrooms with showers are provided.Rec, Spa, Premium Amenities Take in the views from a rooftop terrace and a garden and make use of amenities such as complimentary wireless Internet access.Dining A complimentary buffet breakfast is served daily.Business, Other Amenities Featured amenities include complimentary high-speed (wired) Internet access, a 24-hour front desk, and multilingual staff. A roundtrip airport shuttle is complimentary at scheduled times.